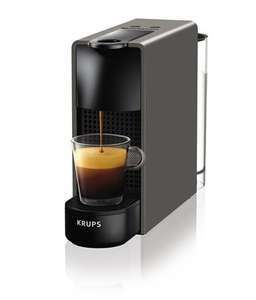 Tefal outlet stores (Mcathur Glen) are selling the Nespresso Essenza Mini Coffee Machine by KRUPS for £62.99. This also includes the free 150 coffee pods worth £50 (redemption from Nespresso until 31/01/19). This is at least £10 less than anywhere else with stock. Brigend store had white, grey and red in stock. I recently bought this for £69 and one of the best purchase's I've made. I regularly go to the gym and helps me get my quick caffeine fix in the mornings.